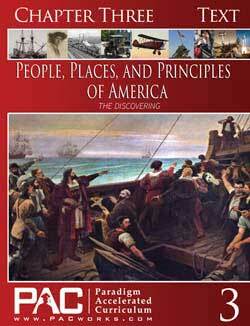 Student-friendly formatting with three chapters of text and three student activity booklets. 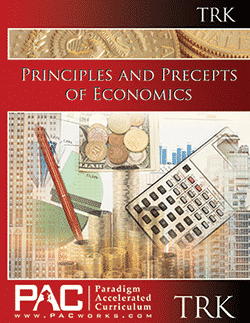 Learn about the history and concept of economics in a one-semester course for high school. 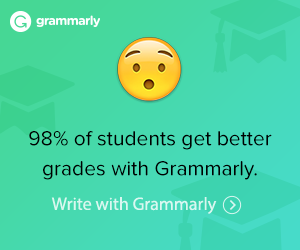 Encourages your student to read to find information. Activities include a variety of question types such as true-false, short-answer, multiple-choice, matching, and diagram-labeling. 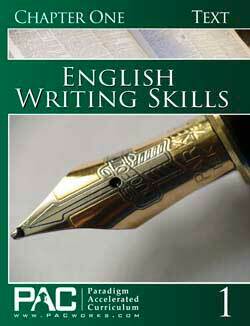 It is available as a full course kit with the text, activities and teacher’s resource key. The Paradigm Economics Digital Download Course Kit includes everything you need to complete the course in digital format: Text, Activities, and the Teacher’s Resource Kit, all in PDF format. View the course on a laptop, tablet, or smartphone. No internet access necessary once you download. Receive the materials in a digital PDF format. Downloads as a .zip file that will be unzipped and saved on your device. Choose a file location that is easily remembered for easy access to your course. Scope and Sequence See a more detailed overview of the course topics. 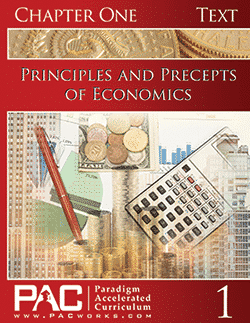 In Paradigm Economics, your student will gain insight into the history and concept of economics including the topics of free enterprise, private property, entrepreneurs, risk, debt profit, government regulations, depressions, inflation, and investment losses and gains. Implications of Islam, dictatorships, and progressive communism and socialism, as well as free enterprise and the US Constitution, are studied. 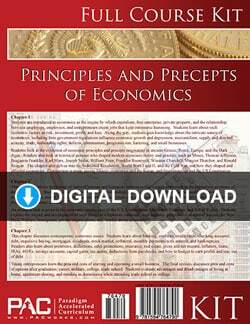 The Paradigm Principles and Precepts of Economics Text Booklet Set includes one of each of the text booklets for Chapters 1 to 3 for the additional student. 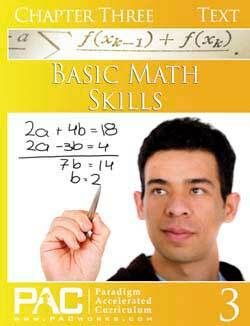 Your student will read the lesson in the text booklets and then answer the questions in the activity booklets. 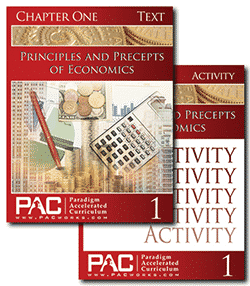 The Paradigm Principles and Precepts of Economics Activity Booklet Set includes one of each of the activity booklets for Chapters 1 to 3 for the additional student. 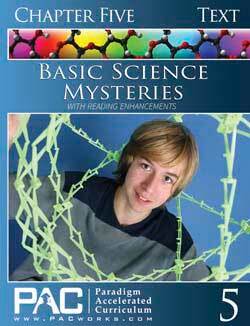 Your student will use the text booklets to find answers for the activity booklet questions. 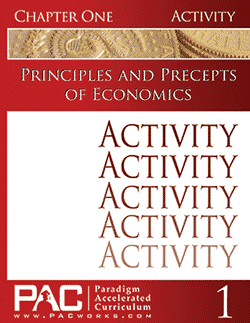 The Paradigm Principles & Precepts of Economics Teacher’s Resource Kit (TRK) has the Activity Keys, Quizzes, Quiz Keys, Tests, and Test Keys. Affiliate Disclaimer: In addition to our products, this is an affiliate supported website. This means if you buy something from a link on this website, from expressed or implied recommendation, we may be paid a commission.